I found this photo in my Aunt's albums. I just thought this lady was so classy! As we see, her name is Mary, and it's from April 1933, but that is all I have about the photo. I love her hair and those boots! 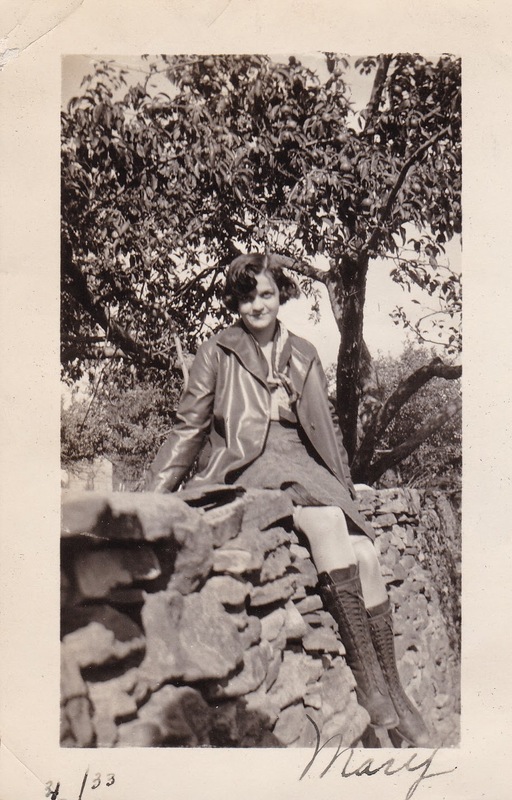 Such a fashionable girl for the year 1933. I am so enjoying looking at these photos, they really take us back to a more simple time so long ago.